If you are visiting Cape Town, it is always best to plan your Table Mountain hike around the weather conditions. Schedule your hike or tour early into your stay, and leave time to account for the frequently changing Table Mountain weather conditions. Too many visitors take chances with poor planning in regards to weather. It’s not as easy as just looking at the temperature. Visitors must look at all aspects of the Table Mountain weather forecast as wind speed, precipitation and cloud cover. 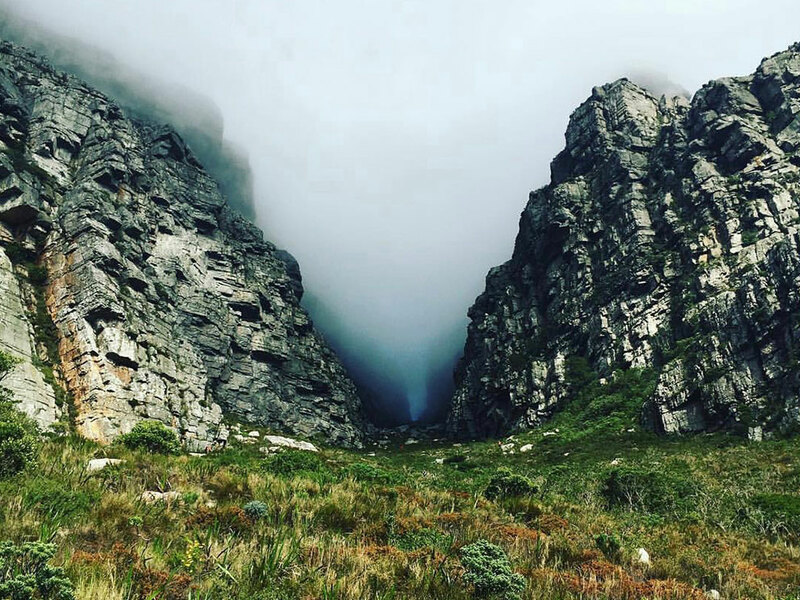 If you are hiking Table Mountain it is important to study the Table Mountain weather patterns carefully and be prepared for unpleasant or dangerous conditions. Cape Town has a Mediterranean climate with mild, moderately wet winters and dry, warm summers. February is the hottest month and the coldest month is June. December is recorded for being the month with the most daily sunshine hours, and the wettest month is July with an average of 100 mm of rain. Cape Town’s long summer runs from November to February, with the highest temperatures in December, January, and February. 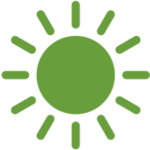 You can expect average daytime highs of 27-28°C. Although it can frequently reach over 30°C. This is the hottest time to hike in Cape Town so start early. The earlier the better. These are also the windiest and driest months of the year. Never rely on rivers and streams for water, during these months. They are often bone dry and an unreliable water source. The days are the longest in summer and great for getting an early start when it comes to hiking. Cape Town summers are not to be underestimated. Hiking in heat causes exhaustion, it is also more tiring compared to hiking in cooler temperatures. Dehydration is common on hot days, so, take more than enough water with you and make sure your fellow hikers do too, or they’ll drink yours. Direct sunlight can cause severe sunburn, and it is common for Table Mountain hiking routes to receive direct sunlight the entire way. Use high factor sun cream and always apply before you start hiking. March and April are the autumn months in Cape Town, with average temperatures between 18°C – 20°C. Temperatures are similar to spring. The wind drops, but days may feature heavy downpours. It doesn’t rain too often. Making this generally great hiking conditions and a perfect opportunity to explore Table Mountain. Winter in Cape Town is never particularly cold and rarely goes lower than 10°C. But temperatures can go down to just a few degrees at the Top of Table Mountain, so be prepared. June, July, and August are some of the wettest months in Cape Town, often a likely time to have storms. And on average, the least hiked months throughout the year. Cape Town winters do however also offer warmer sunny days and temperatures can still reach around 20°C occasionally. If you are planning on hiking Table Mountain in winter, be sure to prepare for all four seasons and pack waterproof gear. The days are the shortest in winter and hiking starts a little later in the morning. September and October are the spring months in Cape Town. This is when Table Mountain’s floral heritage really comes to life. Spring months are spectacular for hiking, the streams are running and it’s generally cool enough to hike in the afternoon. Average temperatures range between 15°C – 17°C and but there are plenty of days in the mid 20’s. The days start to get longer and you can start to hike earlier. The summer months are known to be windy. The Southeaster (also known to locals as the Cape Doctor) sweeps over the Cape Peninsula. The Southeaster is extra strong along the slopes of Table Mountain and really gets going in the summer months. The Southeaster blows hard and it is dangerous to hike Table Mountain. It can be so strong at times, that it can catch you out and blow you off balance if you are not careful. 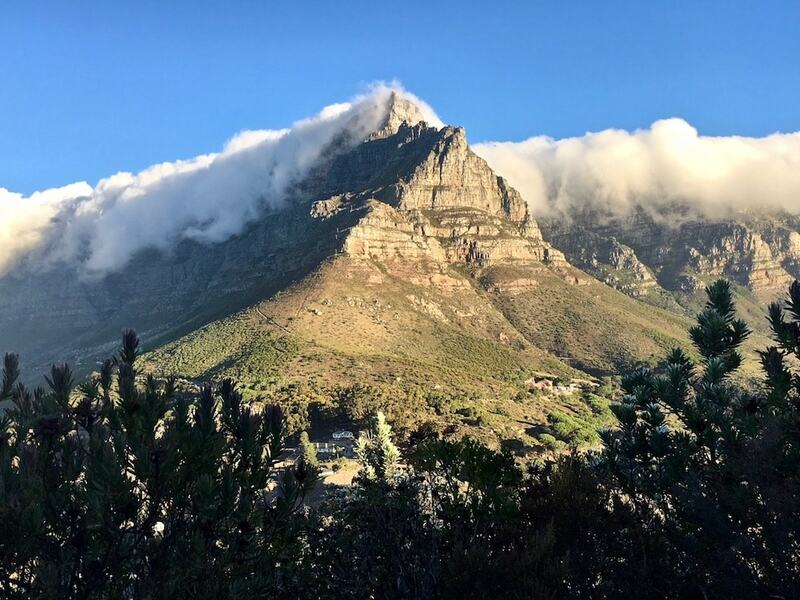 The Southeaster is also responsible for the iconic tablecloth that contributes to Table Mountain’s name. The wind blows moisture and warm air up the eastern slopes of Table Mountain, it is then met by colder air at higher altitudes, condensation takes place and a thick mist soon coats the top of the mountain. On the other side of Table, Mountain, the mist is then met back by warmer air, evaporating the mist and presenting a remarkable display. This tablecloth creates cool mist and low temperatures on the summit in summer. This is one of the main reasons it is so regularly highlighted to pack warm clothing even on a hot summer’s day. Although the Southeaster has many disadvantages to hikers, it plays an important role in Table Mountains Flora and is also known to contribute to clear fresh skies. Table Mountain gets a lot of clouds. Cloud cover limited views, and plays a vital role in navigation, obscuring visibility, and posing a threat to hikers unfamiliar with the mountain. Cloud cover also plays a vital role in temperature decrease on the mountain. 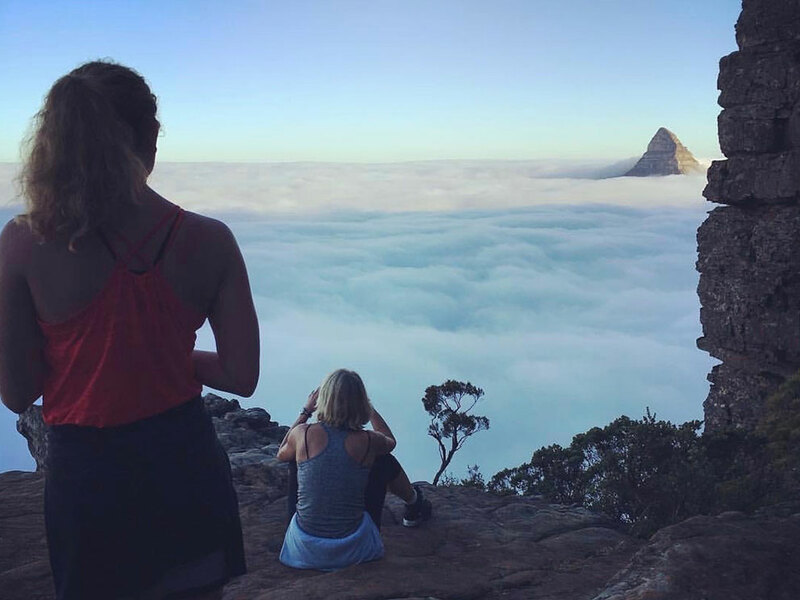 Although we plan to hike Table Mountain in clear skies, cloud cover can be impressive at times, we’ve seen some of our most memorable moment’s thanks to these days. There is no set limit in which the cable car will close and suspend their service. Although the cable car often does not run in wind speeds greater than 35km/hour. This is however only an indication, and it is up to the Table Mountain Cableway’s own digression. There are many factors that are considered. 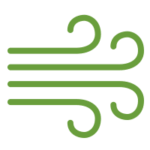 The wind direction also plays a vital role in determining suspension and other factors such as rising weather forecasts, movement on the cable car wires, visibility, and temperature. It is a good idea to phone the Table Mountain Cableway station prior to your trip to avoid disappointment. 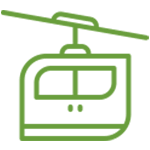 There is a voice recording providing information on the Table Mountain weather conditions, visibility and whether or not the cable car is in service at that present moment. There is also a sign at the very bottom of the road displaying the status of cable car operations on that particular day if you miss the opportunity to call beforehand. The collected data on top of Table Mountain provides important weather information and will contribute to increasing the safety for climbers and mountaineers as well as regular visitors and the operation of the cable car. Due to Table Mountain’s frequent and sudden changes in weather conditions, weather forecasts should always be seen as an indication. Never take the weather forecast as a given and always prepare for changing conditions. Pleasant weather conditions at the top can easily turn unpleasant. The wind speed increases drastically and the weather is generally 5- 6 degrees colder at the top of Table Mountain, this varies on the routes that you are hiking at. A beautiful day in the city down below doesn’t indicate that the conditions are the same on the mountain. Table Mountain Weather stations have been specially designed for this purpose. 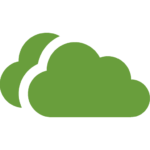 Study weather forecasts in advance and try to identify moving weather patterns. Also remember that if you are hiking and have checked the weather earlier that morning before you set off, it can change and the weather may not be as the forecast prior to your departure. The best Table Mountain weather forecasts. Windguru has stood the test of time and rarely disappoints. This Table Mountain weather forecast shows all aspects of the weather elements and has advanced option. To view the Windguru Table Mountain forecast and get information to download the app click here. Wind finder is another favourite and is used by many adventures in Cape Town for all sorts of mountain activities and wind related sports such as surfing and paragliding. To view the Windfinder Table Mountain forecast click here or to download the app click here. Yr is another regularly used weather forecast to aid in hiking and cable car visits to Table Mountain. Yr is an international weather platform and often used to plan adventures in Cape Town. To view the Yr Table Mountain forecast click here. 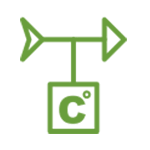 The Table Mountain Aerial Cableway station displays the weather conditions on their website on the top of the page and provides a link to a more detailed weather summary, to view the weather forecast on their website click here.